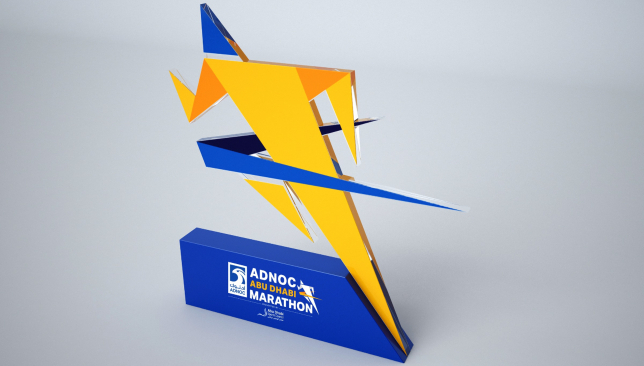 The trophy and medal designs for the inaugural ADNOC Abu Dhabi Marathon have been revealed. Taking place on December 7, the race will feature 42k, 10k, 5k, and 2.5k distances. Trophy designs took inspiration from the silhouette of a runner and is in the race’s official colours; blue and yellow. Winners and runners up of the elite and wheelchair races will receive a trophy, while all runners who complete one of the four races will be awarded a bespoke medal. Medals will be inscribed with ‘Year of Zayed’, to mark the 100th anniversary of Sheikh Zayed Al Nayan’s birth. Cash prizes are also on offer for the male and female victors in the full-length race and will each receive a staggering $100,000, whilst second and third place finishers will receive cash prizes of $25,000 and $15,000, respectively. 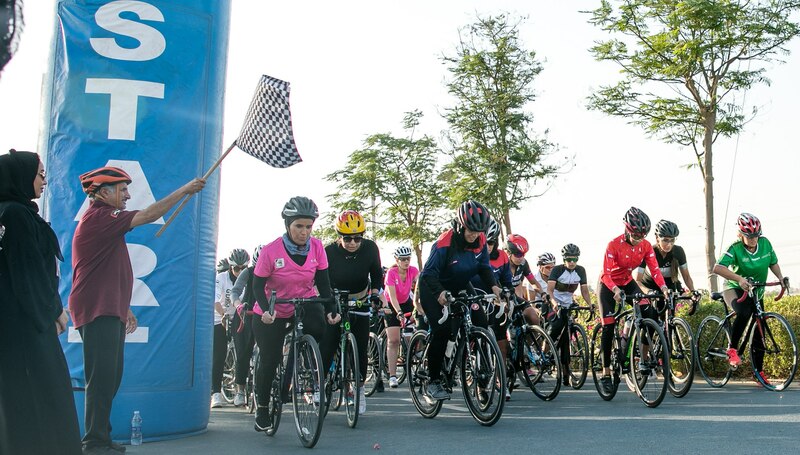 The sixth edition of the Sheikha Hind Women’s Sports Tournament gets underway on Tuesday October 16 with 80 cyclists from various government and semi-government institutions and the private sector competing on the 16km Nad Al Sheba track in Mohammed bin Rashid District 1. Organised by Women’s Sports Committee of the Dubai Sports Council (DSC) under the patronage of His Highness Sheikh Mohammed Bin Rashid Al Maktoum, Vice President and Prime Minister of UAE and Ruler of Dubai, and guidance of His Highness Sheikh Hamdan bin Mohammed bin Rashid Al Maktoum, Crown Prince of Dubai and Chairman of Dubai Sports Council, the tournament will see a record number of ladies compete in 10 different individual and team sports over the next two weeks, until October 30. On Wednesday, the handball and volleyball teams will take the court at Dubai Stars Sportsplex in Al Mizhar, while a day later, the basketball and badminton competitions will start at the same place. The chess championship will start on October 18 at the Dubai Chess and Culture Club while the 3km Road Race will take place on Saturday at the Al Warqa Public Park, opposite Aswaq Shopping Mall. The bowling championship will take place at the Dubai International Bowling Centre in Al Mamzar on October 22 and the swimming competition at Al Wasl on October 27, while the table tennis competition starts from October 24 at Dubai Stars Sportsplex. 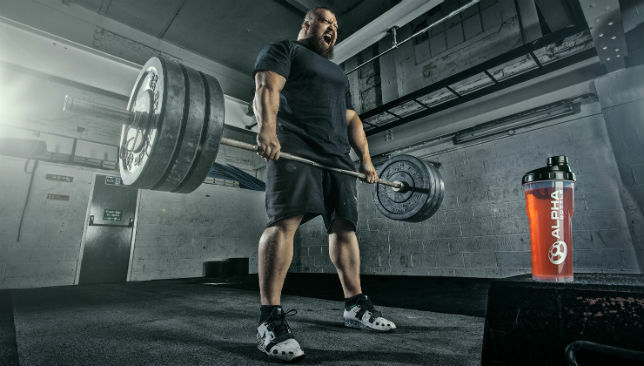 A force of nature: Eddie Hall. With a little over a week to go until the World’s Ultimate Strongman hits Dubai, we take a look at 10 reasons why you need to be there. When the organisers say the events will be heavy, they mean HEAVY. The 18-inch deadlift and truck pull will be particularly Herculean. WUS promises fun for all the family and what could be better than the little ones getting in free of charge? Not many events do that. Those guys at @fittesthumanoffical are at it again. They will be putting some of Dubai’s fittest people to the test to find who is the best of all. Bench Bash is fast approaching! We’re so excited to be at @wusdubai the World Ultimate Strongman Beasts in the Middle East, on October 26th. Join us at 4PM for Bench Bash – a bench rep challenge for males and females from 4:30PM – 5:30PM. Men rep out their bodyweight and women rep out 75% of the their bodyweight. The most reps will win AED500 in cash and other great prizes! 🏋🏻‍♀️🏋🏻‍♂️ . At 7:30PM, watch the incredible Peppe Nilsson attempt a 300+kg bench! . Everyone with a ticket to the show is entitled to enter. Simply come to the Bench Bash arena at 4PM to sign up and give us your best bench effort! Buy your tickets at platinumlist.net. . You’ll also be able to get strength training apparel and accessories from @SBDUAE, Wahlanders, A7 and more! . See you there! So you think you can bench? We’ll let the Desert Barbell guys decide that. We are not talking weight here, but endurance – a great challenge for everyone attending. A Dubai-style brunch will be on offer, with both food and beverage packages. If that’s not your thing, there will be some amazing food trucks to satisfy the appetite. Bikers, gladiators, Capoeira dancers, fire dancers, and Shaolin Monks to name but a few – this is going to be a feast for the eyes. When the competition is over we just go home, right? Nope – then we party! Will live music and entertainment well into the night. If you wanted to custom build an arena for this event, it would be the Bab al Shams Arena. A spectacular gladiatorial showpiece in the middle of the desert. Has to be seen to be believed.